I remembered the lessons of WordPerfect as I left the company and became an independent trainer. I was teaching a class I helped write about WordPerfect Office. Don’t misunderstand, WordPerfect Office was nothing like Microsoft Office, with its word processor, spreadsheet and presentation software. WordPerfect Office didn’t even include the word processor. It was basically WordPerfect’s email software. For a while WordPerfect tried to own the word “Office.” In fact, WP Office came out before Microsoft Office. But, fighting with Microsoft over the definition of Office was like playing space chess with a Wookie. The best strategy is “Let the Wookie win.” Eventually, Novell bought WordPerfect and rebranded WordPerfect Office to Novell GroupWise. It’s still available today. Mostly because Microsoft decided it didn’t need to be killed. Lectures in the morning. Labs in the afternoon. Why? I’ve never seen anyone fall asleep while doing a lab. But, I also believe in using in class rewards. Specifically candy. I didn’t give much though to what candy I used until one particular class. Typically, I used M&Ms. They were chocolate. Everyone loved them. (Or almost everyone.) And you could get them anywhere. However, I personally was a fan of Jelly Belly jelly beans. If you’ve never had a Jelly Belly, you’ve never really eaten jelly beans. Jelly Bellies are unique flavors. Not just fruits like grape, cherry and pear, but more exotic flavors like roasted marshmellow, cotton candy, chocolate banana, and capachino. For this particular class, I decided to get small boxes of Jelly Bellies and give them out during the class. It seemed to go well and it was fun to watch people discover just how tasty a coconut jelly bean could be. But, during one of the breaks, one student announced he was going down to the cafeteria to get something else. I like at least a little substance with my sugar. I’d never heard anyone complain like that about M&Ms. Especially if you got the peanut kind, people treated them almost like real food. It made me appreciate the power of chocolate. Even when we don’t think it’s influencing us, chances are that it is. I switched back to M&Ms the next day and never got another complaint. 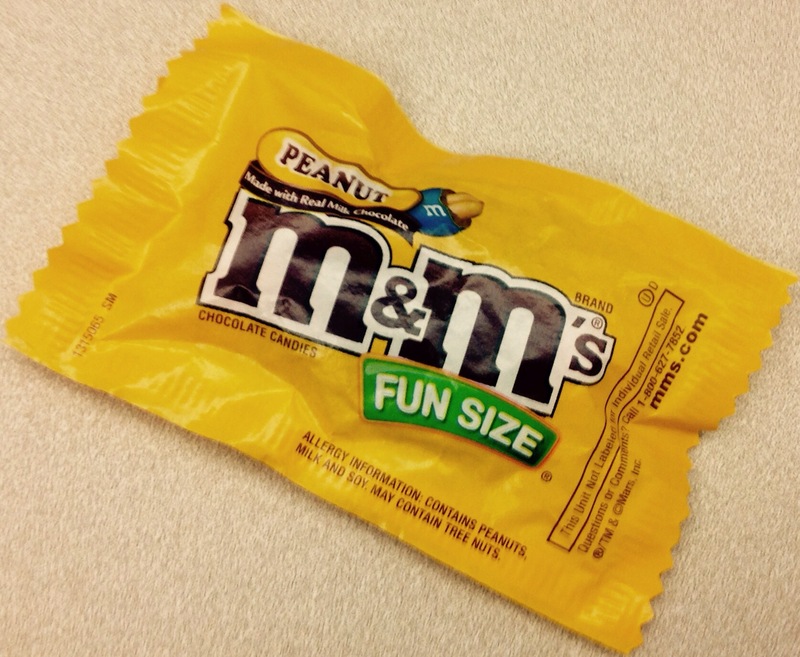 I wouldn’t have thought it made a difference, but not all candy is created equal.